Abstract: Advanced age is often accompanied by glucocorticoid excess which contributes to the pathogenesis of the metabolic syndrome associated with some hemodynamic disorders. Impaired central regulation of stress hormones secretion and increased glucocorticoids/adrenal androgens ratio trigger hyperglycemia, elevated blood lipids and visceral fat accumulation, associated with hypertension and increased blood viscosity, all of which represent cardiovascular morbidity factors in this age. Finding the adequate therapeutic solutions is set as an imperative in the treatment of listed symptoms. Biologically active soy isoflavones, exhibiting estrogen- and membrane-receptor agonistic/antagonistic activity, and antioxidative and tyrosine kinase/steroidogenic enzyme inhibiting effects, appear as alternative therapeutics for various ageing-related diseases. It has been shown that soy isoflavones reduce some of the listed risk factors, while affecting the hemodynamic group of cardiovascular parameters directly, as well as indirectly via endocrine perturbations. 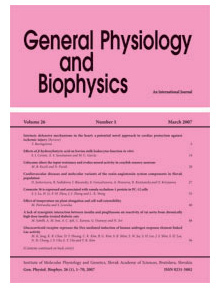 Soy isoflavones may reverse the glucocorticoids/adrenal androgens ratio, lower serum cholesterol, slow the development of atherosclerotic plaque formation, inhibit platelet aggregation, increase cardiac contractility, but they may have diverse effects on blood viscosity and may increase triglyceride levels. Herein, we present the projection of soy isoflavones-based therapy of glucocorticoid excess and disturbed hemodynamics in advanced age, concluding that although promising, it requires the impartial approach and certain precautions.